The commercial real estate capital markets have recovered from the dark days of the global financial crisis bringing liquidity to Main Street, USA. Large balance loans delivering $25+ million to institutional and well-heeled private investors were the first market to recover. Over the last 12 months the small balance market serving-up loans from $1 to $10 million has exploded flooding the market with liquidity. While the borrowing rules are different from the go-go days of 2005-2006 capital has returned to Main Street! 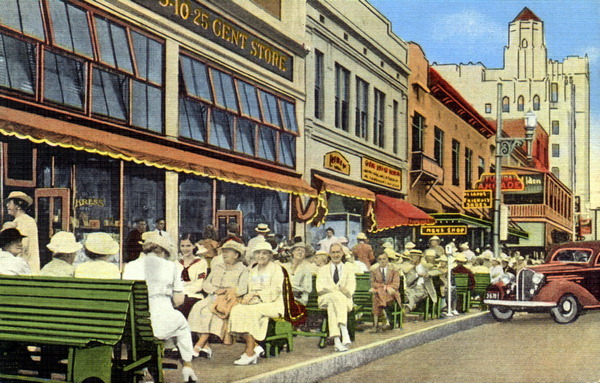 The historic green benches of Central Avenue in Saint Petersburg, Florida. Main Street USA! Contact David Repka or send e-mail to moc.laicnanifnosibnull@evad, and provide 8 to 10 bullet points on the opportunity. Before you go, save some time by browsing our Sample Executive Summary and Loan Checklist and look for the downloadable PDFs.